Lock in a great price for Kvosin Downtown Hotel – rated 9.4 by recent guests! Great location. Clean & safe property. THE TAP WATER (but that goes for the rest of Iceland also). Before even arriving to the Kvosin the staff was so accommodating and helped plan a surprise for the room, it was beyond my expectations! The room and hotel was beautiful and would recommend and definitely come back. During our trip we missed our tour bus and the staff member arranged a taxi quickly so we could meet up with our tour, the help and kindness of all staff was a breathe of fresh air. We made our tour! We were upgraded to a suite with two bedrooms, which was great since we were travelling with the kids. Breakfast was nice and the staff were very friendly. 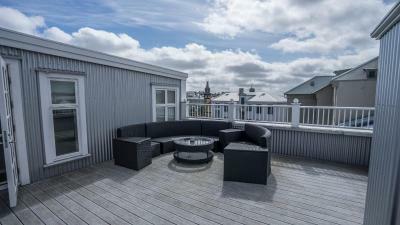 Great location, close to everything in Reykjavik. Good value for money. Location, location, location. Love that it was in an older part of the city. Had a very intimate feeling-met many people from other places. The two bedroom suite was very large and spacious with a great balcony looking over the cobblestone street. Also a shared balcony on the other side. Amenities were amazing. Truly a luxury hotel. Location was good, we were able to walk to all of the sights and to restaurants and bars. The staff was fantastic, very helpful. The location is great. We walked everywhere. The hotel is very nice. Clean and quiet. Good location! Friendly staff! 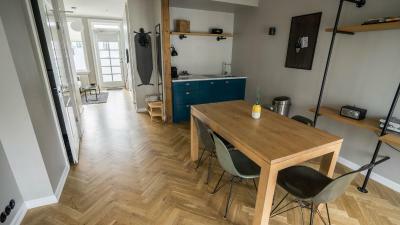 Very comfortable studio, with an equipped kitchen and good coffee! We had a very nice stay! Excellent location. Our room was facing the front and it was very quiet. Outstanding hotel in the best location in town. Couldn't have been happier with our stay and after walking around town, and viewing the other locations I had considered, I firmly believe this is the best location. Close to the "tourist" area, tons of restaurants, the harbor, the church, Harpa, the Viking ship structure, tours operators etc. 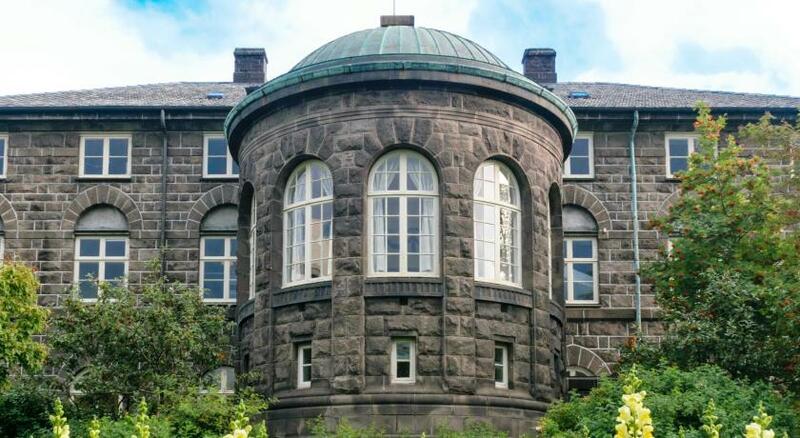 (As an aside I would recommend the Aurora Museum--very imformative and beautiful) The room had a a induction stove top, and a drawer refrigerator which were useful. They even had a Nespresso coffee machine with capsules!!! The beds and linens were heavenly, the shower had 2 types of shower heads for bathing enjoyment. The sink was a bit small, but I wouldn't ding the hotel on this small aspect. The windows had black out shades in case you are sensitive to the sun. The hotel staff were extremely friendly and helpful! Definitely would stay here again!! Beautiful rooms in a fantastic location. Expensive, but most accommodations in the city are, so this hotel is a good value relative to others. Staff are incredibly helpful and friendly and shared with us how much they enjoy working at the Kvosin. 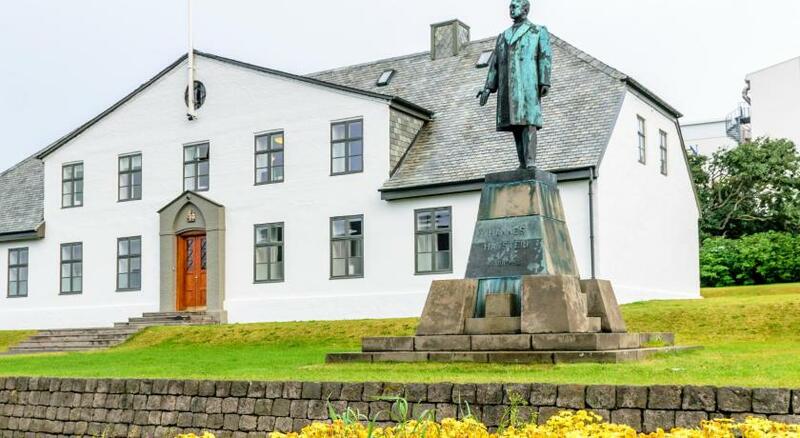 We’ll definitely stay here the next time we’re in Reykjavik, and you should, too! 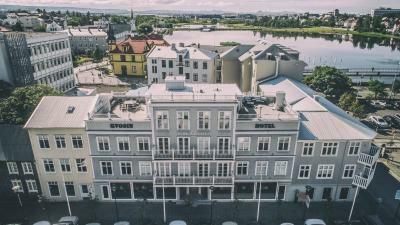 Set on a square behind Reykjavík Cathedral and the Icelandic Parliament, this hotel offers modern rooms with free Wi-Fi access and Nespresso coffee machines. 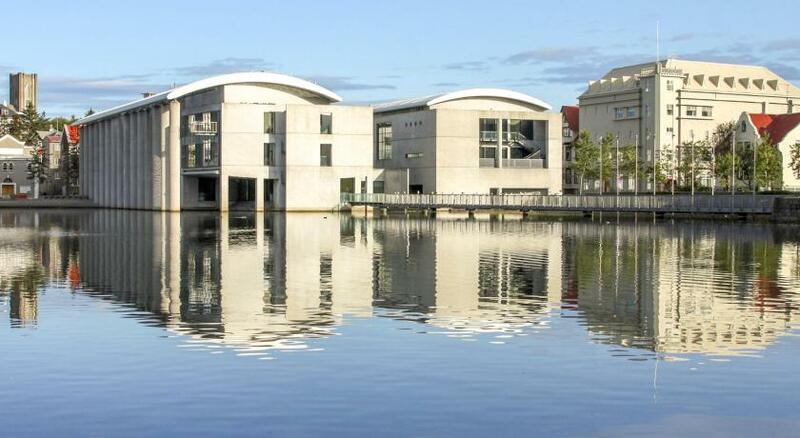 Lake Tjörnin is 1 minutes’ walk away. Dating back to 1900, the modern Kvosin Downtown Hotel offers rooms with a seating area, flat-screen TV and a private bathroom with shower. Most rooms have a kitchenette with a dining area, fridge and cooking hobs. Restaurant Bergsson, a snack bar and Klaustur Wine Bar are located on the ground floor of Kvosin Downtown. A continental breakfast is served each morning at the hotel. Views of the cathedral and parliament can be enjoyed from the ground-floor terrace. The 3rd-floor terrace overlooks the city lake. Austorvollur Park is 150 feet away. 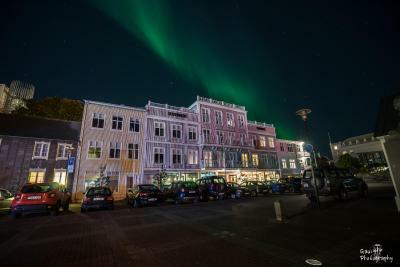 Laugavegur shopping street is a 5-minute walk from the hotel. When would you like to stay at Kvosin Downtown Hotel? Brightly decorated and spacious top-floor room with a sitting area, flat-screen TV, and a kitchenette with a fridge, stove and Nespresso coffee machine. Featuring a terrace, this brightly decorated room with a seating area, flat-screen TV, kitchenette and Nespresso coffee machine. Brightly decorated room with a sitting area, flat-screen TV, and a kitchenette with a fridge, stove and Nespresso coffee machine. House Rules Kvosin Downtown Hotel takes special requests – add in the next step! Kvosin Downtown Hotel accepts these cards and reserves the right to temporarily hold an amount prior to arrival. 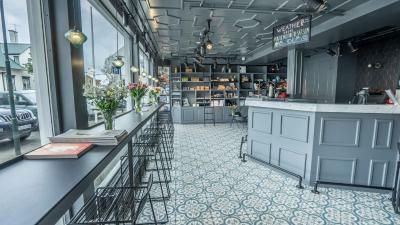 At Kvosin Downtown Hotel, charges will be made in EUR according to the exchange rate on the day that the charge is made. A multi storey hotel is being built next door - works were noisy and unsightly including on Saturday. 1. Sound isolation can be better. We could clearly hear the drunk people on Friday night. Not ideal for noise-sensitive guests. 2. The wash basin is too small. 3. Breakfast should have more choices for a hotel rated four stars. 1. Unbeatable location right in the center of Reykjavik. Only a few minutes walk to many major attractions and famous restaurants. 2. Friendly and professional reception. 3. Family friendly. The playing area in the lobby is a true relief for tired parents. 4. Specious rooms in cosy atmosphere. 5. Nice selection of spirits in the bar. Could not fault the hotel. Excellent room size. Excellent facilities. Awesome location, so central and close to some great restaurants like apotek for pudding and grillmarkadurinn. Bar is really nice and great place for a night cap. Great hotel, spacious rooms for family, and loved the little details like complementary coffee/tea and donuts all day. Great location and fabulous customer service! The was like walking into a home. Loved the property so much, perfect location too! Could have done with an electric kettle for making tea and a small saucepan in the kitchenette. Really good location. Excellent room.